1:32 PM. 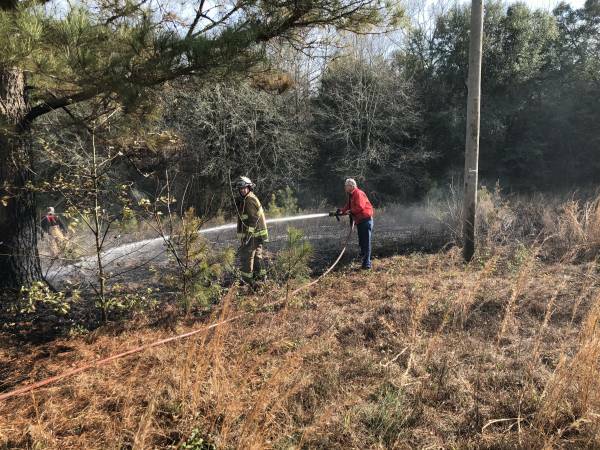 Large Grass Fire In Headland - Henry County Requires Mutual Aid :: RickeyStokesNews.com! 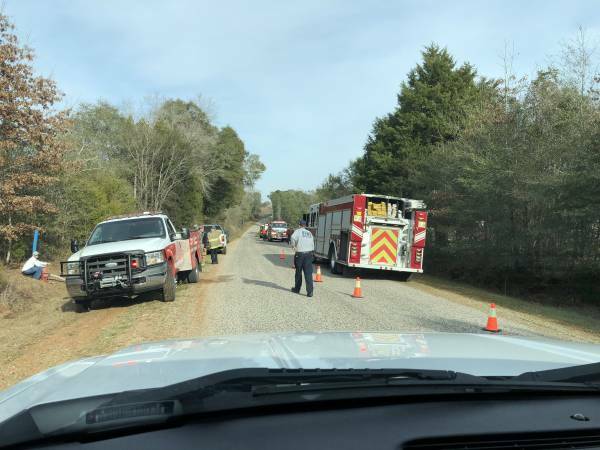 HEADLAND - HENRY COUNTY: Headland 911 dispatched Headland Fire to a grass fire on Henry County Road 6. 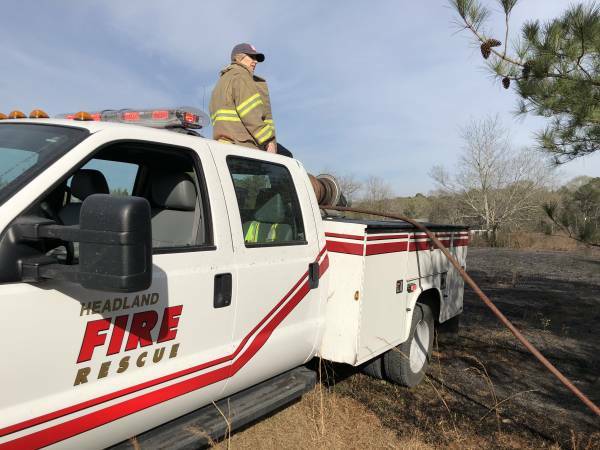 Leadership in Headland had the Headland Fire and Headland Reacue operating with only two ( 2 ) people working today. So one member drives the brush truck and one member drives the ambulance to the scene. 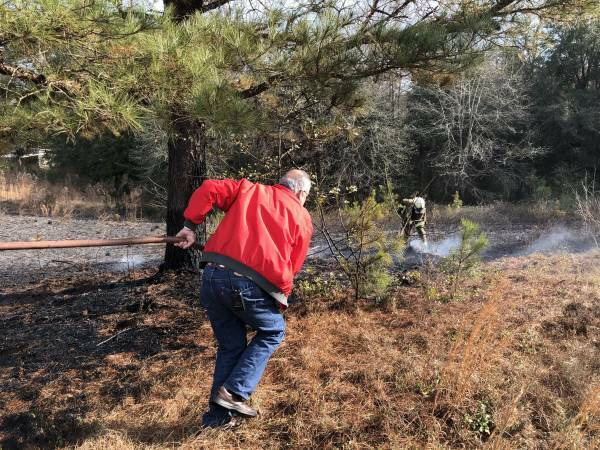 It was quickly determined the grass fire was growing out of control and additional help was needed. Headland 911 paged members of Headland Fire and no one responded. At that point Headland Fire requested mutual aid assistance. Kinsey Volunteer Fire and Haleburg Volunteer Fire were requested to respond. 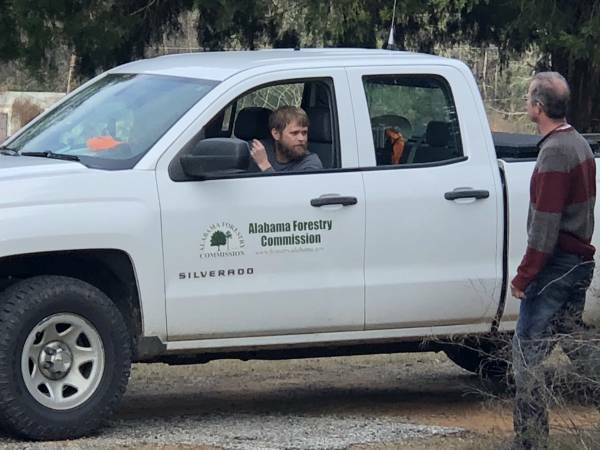 Also Alabama Forrestry was requested to respond. Kinsey Volunteer Fire Chief Jason Reneau was in training at Westgate Fire Station. Dothan - Houston County Emergency Management responded with Chief Reneau to assist. The Fire started from a cigar. The fire was rapidly growing. Fortunately across the street from the fire was a fire hydrant because the brush trucks required water several times. In a combined effort the fire was extinguished. morning. 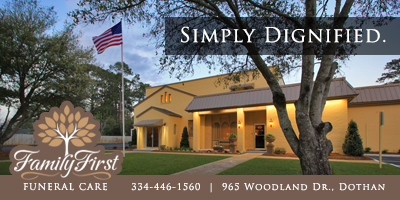 While Headland Rescue was giving life saving measures to the gunshot victim and transporting to the hospital, NO ONE was on hand to handle a fire. Ray Marler is Mayor of Headland. That means he is ultimately in charge.